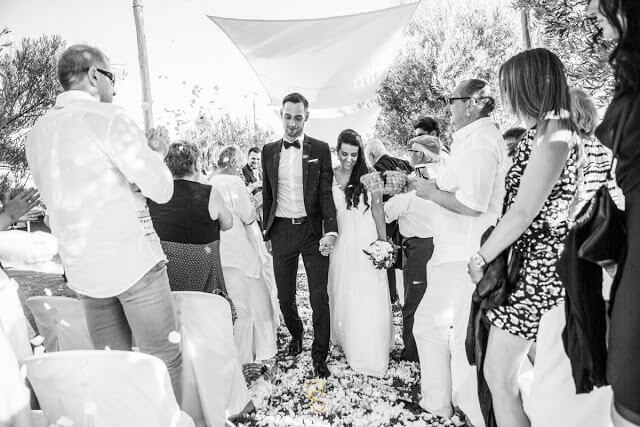 Carolyne and Thomas best wedding Marrakech, a suspended moment of dream and emotion. 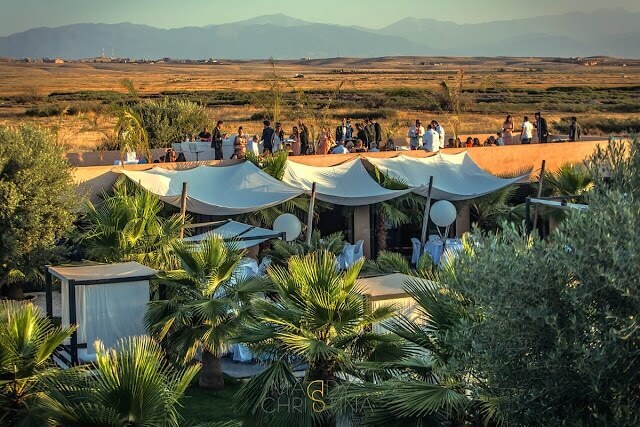 Marrakech villa rental for a wedding in Marrakech. A wedding organization by David Garnier, skilled wedding planner. Always available, hours on Skype and realization of a precise and timed program. From their first step at Marrakech airport to their last goodbye to the Red City, David handled the whole organization. How could the union of these two special people be something else than an addition of beautiful moments ? A professional officiant handled the ceremony with moments of joy, moments of emotion, and a smooth feeling seeing many friends and families coming to say a few words, read a text, throwing so many tears away ! 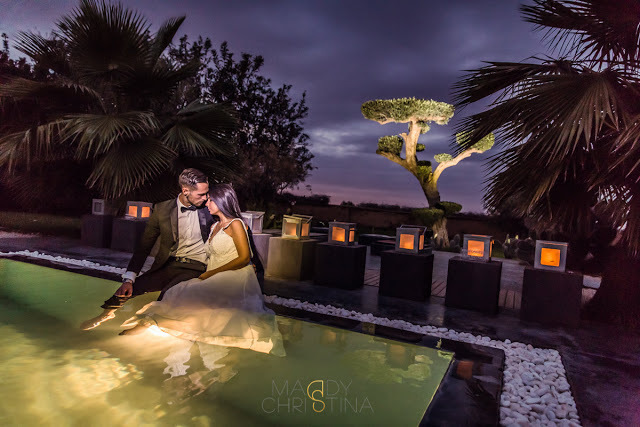 The atmosphere was also special with this white roses and olive trees decorum, like living in a dream in this wonderful privatized villa to rent in Marrakech. Cocktail on the skybar, dinner facing this so strange bonsai style olive tree reflecting in the 25 meters pool, ending with a graphic and delicious wedding cake made by the best French patissier in Marrakech. And then it was time for partying, and we saw people having fun like no one else , dancing everywhere, on the dancefloor, near the pool, in the pool either !!!! So much joy, pleasure and laughs till the end of the night. The country chic day after brunch under the olive trees of the property was really quiet…for just a moment ! And top of the cake, Maddy Christina, the great Maddy Christina, taking Carolyne and Thomas everywhere in the villa and outside, asking them to take photos dressed in the pool, and offering them souvenirs for more than a lifetime. Thank you Carolyne, thank you Thomas and we wish you the best for your life together !